The Nordic network funded a number of PhD students to visit other research institutes within the network in order to get some more lab experience or to work jointly on a publication. The grants are no longer available. 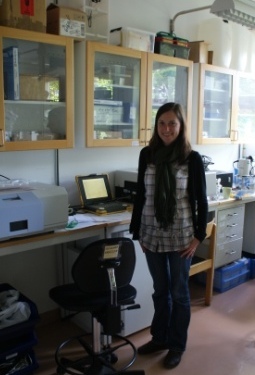 Diana Vaiciute from Klaipeda University,visiting PhD student 2011, working in the lab at Stockholm University.